VICTAS is a Japanese table tennis merchandise company, also active in the European market since 2013 and LMC partner since 2017. 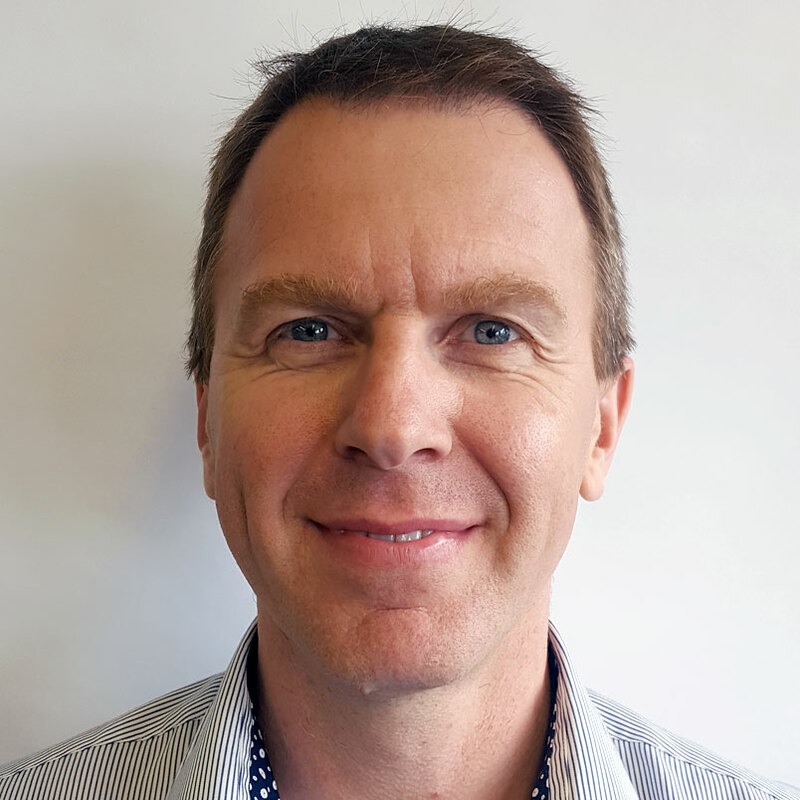 This would be reason enough in itself to talk to Peter Franz – General Manager of VICTAS Europe. 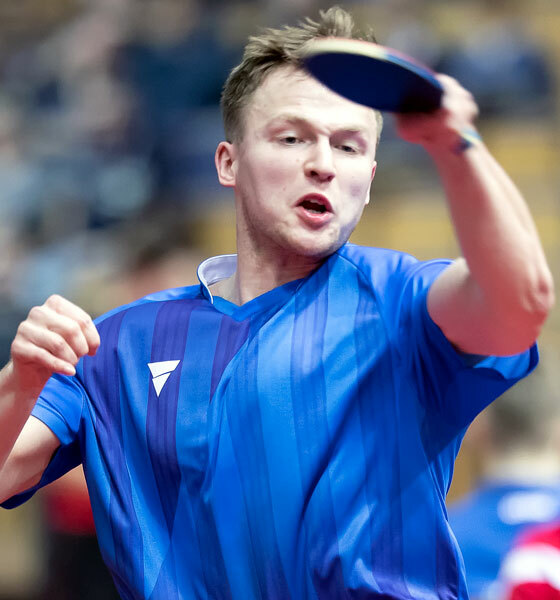 However, Peter Franz can also look back on a formidable career as a table tennis pro himself. A taster of his track record: He took part in the Olympics twice. He was German champion twice with TTF Liebherr Ochsenhausen. As the only table tennis player to do so, he won the Champions League both as a trainer (AS Pontoise Cergy) and player (CAEN TTC). Peter, what is so special about VICTAS in your opinion? The brand is young and modern brand with an innovative, high quality range of products. The name Victas combines two words, the English “victory” and “ashita”, the Japanese for tomorrow, so it roughly means “Tomorrow’s champions”. Along with the brand slogan “I am next”, we aim to achieve our motto for both our products and our players and teams as well as for ourselves as a brand. At VICTAS we use only the highest quality materials. Our worldwide team possesses a wealth of know-how to best serve our customers. I think that we’re really very well lined up in this respect. As a former ace player, how can you bring your experience to bear in developments at VICTAS? Thanks to my years of experience and endless time spent in table tennis halls I have a good idea of how much equipment a table tennis player really needs. I can also assess the quality and properties of the material in product tests fairly quickly and pass on my improvement suggestions if necessary. Although I must say that in this area, I can also learn a lot from my colleagues who have worked in-depth with our products for many years. Incidentally, while we’re on the subject of developments, what is VICTAS working on at the moment? Can you give us an inkling? The upcoming highlight is of course the 2020 Olympic Games in Tokyo. We are currently working flat out on designs for the Japanese national team kit. In principle, we are very happy with all the products. However, I’d like to emphasise the V > 15 range of rubbers, which more or less all of our top players use. When I have the time to play, I also use the V > 15 EXTRA. 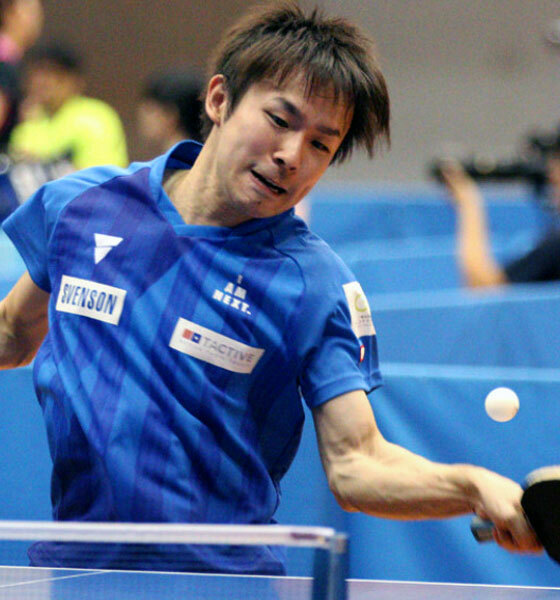 Table tennis is very popular in Japan, and this is reflected in the funding for professionals. So why is a cooperation with LMC still attractive and important to VICTAS? Although, of course, there are excellent training opportunities in Japan as well, LMC excels in this field and in my opinion there is no better option for young players in Europe to develop their potential than here in Ochsenhausen. Furthermore, it is also very important for Japanese players to gain experience abroad. In general, I think that Ochsenhausen and VICTAS is a very good match, because we have similar targets and ways of doing things in many areas. How does the German or European market differ from that in Japan or Asia? Although there are certainly a lot of differences, when it comes to the bit, all table tennis players want the same thing and that is good products. However, the Japanese have an even keener quality consciousness. Only the highest quality products are in demand and a lot of importance is attached to every tiny detail. Japan finally has a new pro league – the T.League. What hopes are attached to this new approach? 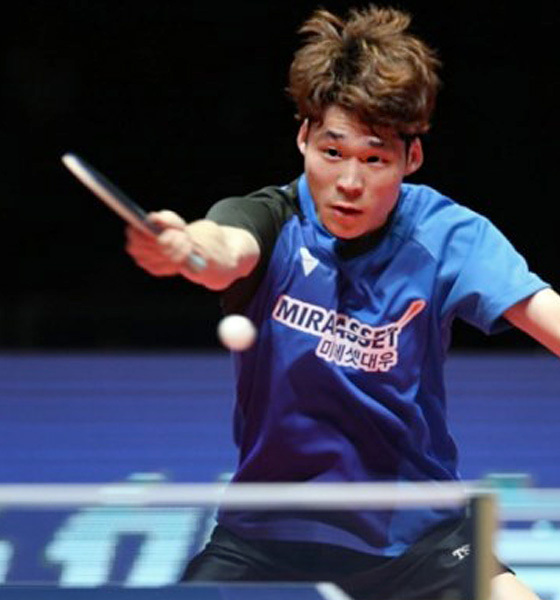 We, and three other table tennis brands, sponsor the T.League. I think that it is a very interesting league. Its début caused quite a stir and the team line-up says a lot about the league’s professionalism. The Chairman of T.League is Koji Matsushita, founder of the VICTAS brand. Everything he does adds up and results in success. He was involved for years in the Bundesliga and in France and undoubtedly picked up a few ideas in the process. I think that T.League will stay in the news. 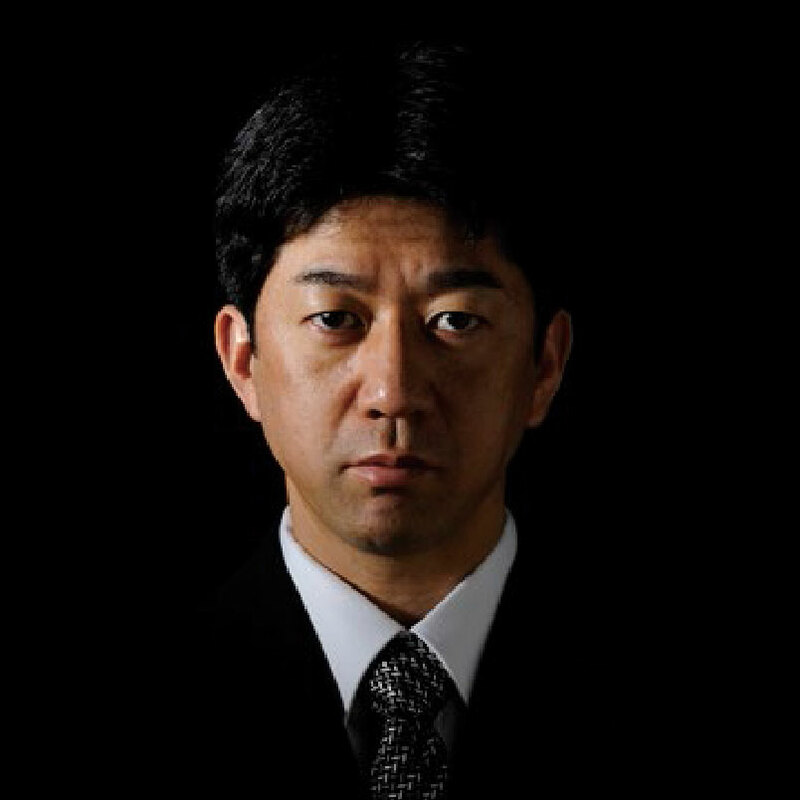 Koji Matsushita is honorary president of VICTAS and a Japanese table tennis pro until the brand was founded in 2011. Among other, he played for the Swedish club, Falkenbergs BTK and Borussia Düsseldorf, and was famous for his spectacular defence techniques. He ended his active career in 2009, however before engaging with VICTAS, he set up a world record with Hiroshi Kamura: the longest exchange of balls lasting a sensational 8 hours, 34 minutes and 29 seconds. From 1995 to 1997 and 1999 to 2001 you played for Ochsenhausen in the 1st team and along with the team were German champion in 1997 and 2000. Is this why you feel so attached to LMC in Ochsenhausen as VICTAS cooperation partner? Yes, of course, I have a great attachment to LMC and Ochsenhausen. I not only spent a very successful and enjoyable time here, I have many wonderful memories of Ochsenhausen and have known the club and people active in it for a very, very long time. I always had a very good relationship, indeed friendship with Kristijan and Rainer Ihle, who unfortunately is no longer with us. What has developed here is utterly impressive and Rainer would certainly have been very proud had he still been alive to see it. Before our cooperation I recommended almost all players to go to Ochsenhausen and train at LMC, simply because I think it’s the best. The coaching and training facilities offered here are unique in Europe in my opinion. How do you go from being German team champion to general manager of the European subsidiary of a Japanese table tennis merchandise company? The connection to Japan was forged by my taking part in the Japanese Super Circuit (editor’s note: a Japanese men’s table tennis tournament series) as a player for four years. I also played there with Koji Matsushita, my former boss at VICTAS. I always stayed in touch with him and at some point he asked me if I’d like to work for him. Despite a lot of interesting options at the same time, I didn’t hesitate long and accepted his offer. In your opinion, what is the biggest difference between European and Japanese table tennis? I identify the biggest difference not in the game system but the fact that in Japan the kids simply start to play table tennis from a very early age. In Japan, a child aged six is considered to old to start playing table tennis. The current trend is for children as young as three starting to play table tennis and training regularly, which is hard to imagine in Germany. However, that’s why Japan is producing an increasing number of so-called “wonder kids”, who are able to play first-rate table tennis already at a very early age. As I see it, it will be difficult for European table tennis to close the gap on this lead in training quantity and quality. At the moment, we have a crack team with Timo Boll, Dimitrij Ovtcharov and VICTAS player, Benedikt Duda. So far so good, however in five to ten years, the difference may be even more pronounced. The 2020 Olympics in Tokyo are on VICTAS home ground. Can you give us an idea of what your preparations entail? We are the outfitters of the Japanese and Korean national teams, both of which are sure candidates for medals. At the moment, we’re focusing on the design for the kit. We’re also preparing intensively for the anticipated boom that will take off due the Japanese national team wearing our textiles at the Olympics. During the games, of course, we look forward most to the table tennis competitions. Although I’m no longer on board as a player, I did take part as one at two Olympics and can say with certainty that the games are by the far the greatest event for all sportspeople. What’s your tip for the 2020 Olympics? In my view, there are four obvious candidates for medals in the team competitions. They are, of course, China, Japan, Germany and Korea. We’re pleased that two of these four teams are kitted out by us. I rate the Japanese and German national teams are being roughly equal – although I think that the Japanese national team has more chances against China. Both are sure medal candidates, if you ask me. As always, China is the top favourite, but I think that playing on home ground and remaining training time to the competitions may turn Japan into an Olympic winner. So my tip for gold is Japan in VICTAS.